Hi Everybody, welcome to our January newsletter. There’s an exciting year of growth ahead for us in 2019. We now call ourselves e-tailers, as we are working with sales channels that you want us to make available to you. These range from your in store visits and pick ups to full blown super fast shipping and communications. We are attending the Southern Fieldays March 27-29 for the first time and have got a new site at National Fieldays June 12-16, and it’s twice the size as before - 300m squared. HUGE! We’ll be sited at G23-25 on the new ‘Apparel Street’ where we’ll continue to promote NZ Made Knitwear and we’ll be really looking forward to seeing some of you there. More on that nearer the time. There are some exciting enhancements to our Otaki store for Winter… watch this space. Online is seeing enhancements too. We’re working to keep up with market shifts and swings as they occur. In the second half of 2018 we added live chat to our online store. We have it turned on 9-5pm, 7 days a week, and outside those hours, a ticket is created for us to manage the enquiry the next day. Why not try it yourself if you need some more info. And, of course, you can pick up the phone and call us too. Mother nature (Papatuanuku) threw some weather at us and undid quite a bit of work in tracks and plantings through December. We’re bowing to her this time and plan to build a raised platform to allow the flood waters to flow under and a couple of platforms that wash out at the main feeding area. The timber for these will be around $2000 so we are fundraising through the Kui Kui Charitable trust to get this together. Any help is really appreciated. If you visit in person, we have donation stations and if you want to support online, this is our ‘give a little’ page, (https://givealittle.co.nz/org/thewopwops) Thanks for considering helping out. NZ Natural Clothing and our property company pay the labour and top up for materials. We would like to thank our other contributors and wish them all a Happy New Year. Just a quick email to give you a thumbs up for a great product. I just returned from 10 days winter hiking in the Dolomites. I used the Trekker socks in the snow country and the Lite Trekkers around town and on the flat areas. Have to say I can’t fault them. They kept my feet warm, dry and easy on the nose, and the comfort is outstanding. I will definitely be recommending your products to my friends. We LOVE hearing stories like this from you. Just drop us an email if you've got something you want to share. $USD it’s time to buy! The US Dollar > NZ Dollar rate suits a winter spend up if you are over in the USA, freezing your socks off! Trump hasn't shut the gate on us (yet!) as far as import taxes and when you buy with us online and spend $150+ NZD. (around $100+ USD) we will ship it fast and free - it takes just 4-6 days to get to the USA! Here’s an example of a very happy customer in California. Her order took less than 4 days from order to home delivery. I love it! She loves it! Jeff has been banging out carvings for this event. If you can spare 2 minutes here is Jeff freehanding his signature on video. He carves this layover technique into all work these days this piece an upcycled totara post destined for the Gallery. We had lovely looking stores this Christmas, thanks to our NZNC teams. We celebrated Christmas with a combined evening meal in Palmerston North. It warms Julie and I to see the interaction of team members, some who had up till then only talked shop on the phone or emailed over stock transfers. We hope you are having a great start to the New Year and you did some catch up over the Holidays with friends and family. 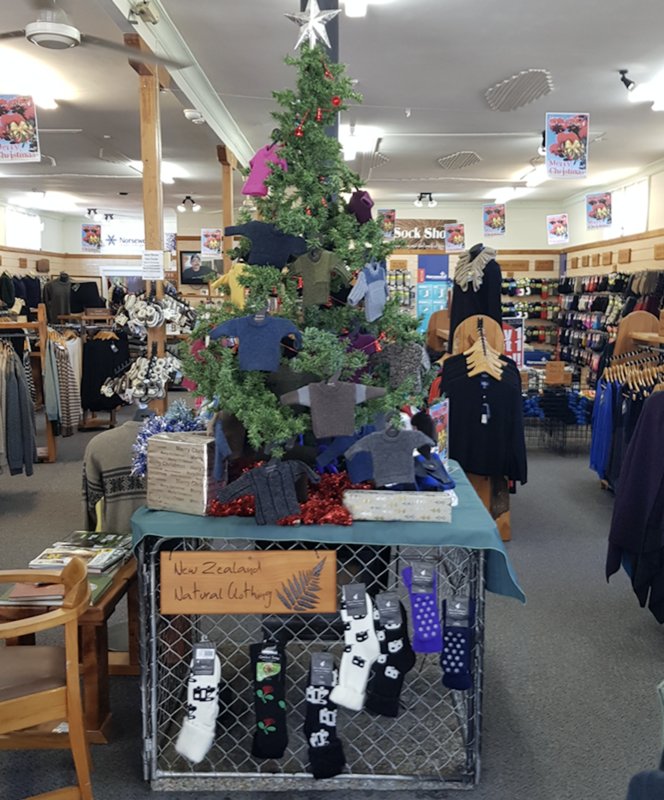 If you are travelling around the Lower North Island, make sure to stop into our Otaki store and maybe take a break at Norsewood in our Eco Park The Wopwops. Grab a free coffee in the knitwear store and browse our gallery, we look forward to seeing you.